Los Angeles, CA (January, 2018) -- Norwegian Electronic Worship team, Radiate Worship has signed with DREAM Label Group's worship division, DREAM Worship (Life.Church Worship, NewSpring Worship, New Hope Oahu). 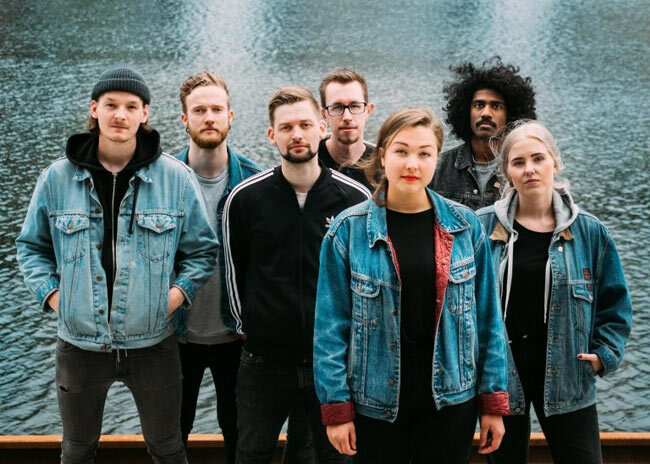 Led by Pastor Martin Midtgård Hagen, the worship ministry of Radiate Church started in 2008 focusing on it's fresh expression of groundbreaking worship. “When I heard their song "Trust" I was immediately hooked on them. Their fresh approach to worship and their heart for sharing Christ with their country is so incredible I wanted to sign them immediately." said DREAM Label Group GM, Lance Brown. "DREAM has prided itself on provided music that makes the listener feel joyous and energetic and this group will do that for you when you hear them." The group went into the studio with producer David Ramirez from Gnome Studios to record their next single, "Victorious" which will be released on DREAM in the coming months. After a change of focus, not only to write songs in Norwegian for a national distribution, but opening up to expanding their international contact network and both writing and communicating more in English, they came in tough with producer David O. Ramirez from Gnome Studios, who came on as producer for their next full album project. This led to the first single from the upcoming album, Trust, which caught the attention of Dream Label Group.